In user interface design, a modal window (sometimes referred to as a modal dialog) is a window that blocks input to other windows. It has to be closed before the user can continue to operate the application and are frequently an element of Multiple Document Interface (MDI) applications or desktop applications like Windows or OS X. One of their purposes is to prevent the software from being operated in an ambiguous state. 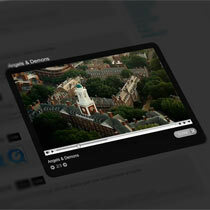 Facebox is a jQuery-based, Facebook-style lightbox which can display images, divs, or entire remote pages. It’s simple to use and easy on the eyes. Download the tarball, view the examples, then start enjoying the curves. Designers seem to like using modal windows more and more, as they provide a quick way to show data without reloading the entire page. It’s easy to use and easy to design. The big problem I experienced with every plugin I tried either using Prototype/Scriptaculous or jQuery is the customization. They say you can do whatever you want simply but that’s not fully true. The default CSS works fine, but most of time it’s a mix between required elements and optional. That mean you have to be very careful when editing it. The other problem is the animation. That’s the worst point. I never found one plugin allowing to redefine easily the animations. Tested In: Firefox 3+, Safari 3+, Opera 9+, Chrome, Internet Explorer 6, 7, 8, 9.